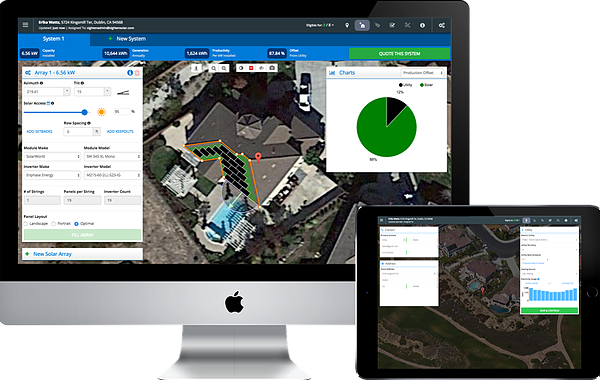 Sighten software has enabled solar installers, channel managers, and financiers to grow rapidly while increasing profitability. Ready to accelerate your solar business? It’s very customizable and I love the automated features like e-signing and integrated financing. I definitely like the roadmap and the features you release. We’re able to take just a few details from the customer -- address, usage, some other contact and utility information and put together a proposal in a number of minutes. It’s very valuable for us to be able to quickly get quotes out into the hands of customers. It’s really easy to use and that’s what we love about it. Somebody that doesn’t know much about solar can log on and by going through the steps, they can learn with it. It’s just so easy to understand the way it’s laid out. We like the comparison of financing on the proposal - the layout of cash and different financing options, then showing the ITC and all the important numbers. Nobody else seems to be able to get that right but you guys get it right. The best parts of the platform are the credit integrations and being able to quickly and efficiently close. We leave the house on the first visit with everything we need. I was able to get up to speed quickly. That was very important to me and I like using the tool. I like the integration of all aspects needed for the sale. Everything links together. Our sales team can turn around and create the design and show the customer, then show them the financing options. We like that the system is straightforward and easy to understand. You go from one step to the next and it’s a very streamlined process. We like the ease of use and being able to pass this on to agents. It’s an impressive platform when you see the fact that everything is automated. It’s easy for agents to go in and quote. Using Sighten with some financing products, you can sit down with the homeowner, go through the value prop, and get a contract signed. Every team member that I've interacted with at Sighten is knowledgeable, excellent with support, patient, and such a pleasure to work with. They're thoughtful in their work and engagement with clients. We cannot ask for a better account manager for our team. I love the integration of design tool and financial modeling. Sighten exists to support the people selling, financing, and installing solar every day. That’s why we love hearing about our customers growing faster or operating more efficiently because of Sighten design, proposal, and sales software. We've asked our partners about their favorite aspects of running their solar businesses on Sighten. The result? 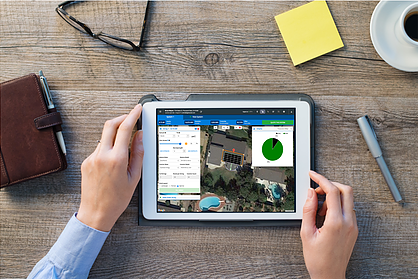 Sighten customers love the platform’s financing tools, ease of use, and speed with accuracy.